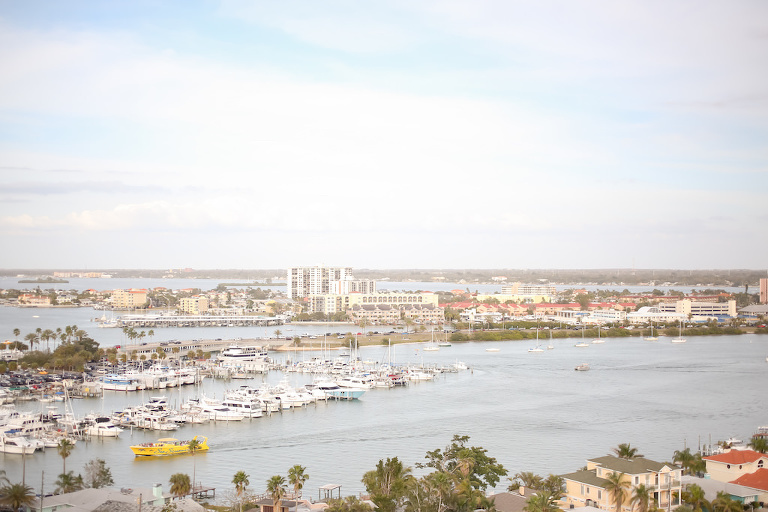 Nicole and Eli’s Clearwater Beach wedding featured the refreshing ocean breeze and dazzling rooftop views of the famous Gulf beaches 16 stories high. 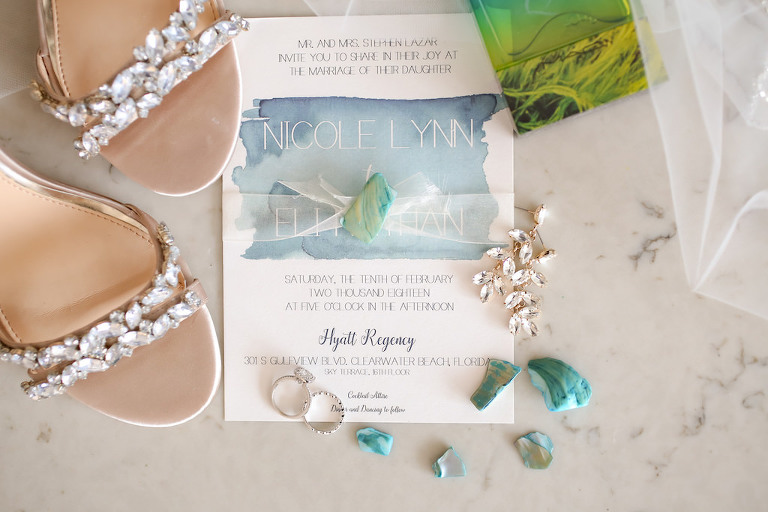 Searching for a Clearwater Beach photographer who had experience with beach weddings and a photography style that they connected with, the couple hired Lifelong Photography Studios. Looking back on their wedding day, one of the bride’s most cherished memories was catching her groom’s eye as they exchanged first looks down the aisle. Eli and I took a trip to Savannah with another couple to celebrate our 2-year anniversary. He snuck away from the group to set up candles, rose petals and a slideshow on the terrace of our bed and breakfast. There was a sign on the terrace to meet him at the fountain at Forsyth Park, and Eli had arranged a petticab to pick me up and take me to the fountain. When I arrived, he was standing at the end of the rose petal and candle lined walkway, while a violinist and guitarist were playing our song. We danced to the music, while I cried. I was in shock, and then Eli got down on one knee and proposed! We popped champagne in the park and celebrated the most romantic proposal! 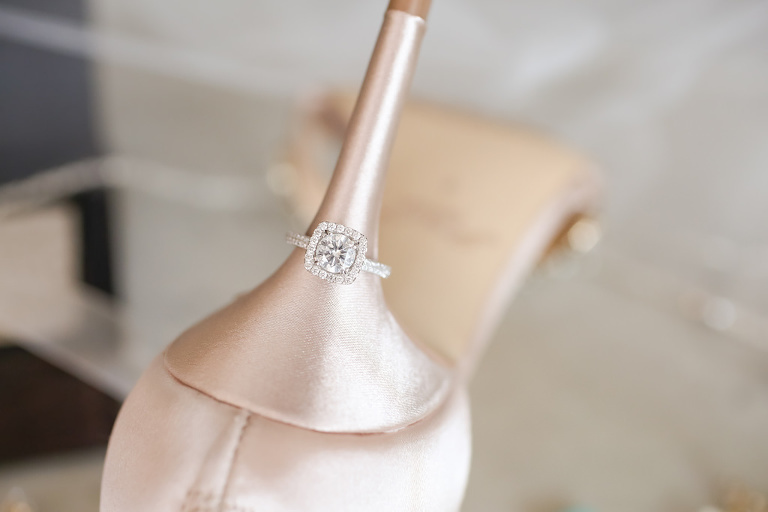 A breezy, light, modern vibe, but still classy and sophisticated that describes us as a couple. We love the beach, being outside and have laid back personalities, but we also both love to get dressed up and go out on the town! Ivory, champagne and a touch of navy and greenery. We wanted a very light atmosphere with simple decor. We didn’t want to take the focus away from the beautiful venue and location. I looked for style. I wanted a photographer who had a light, soft style and had done beach venues before. I also looked at the most bang for my buck in regards to the packages, was an engagement shoot included, album, etc. Lifelong Photography Studios was amazing! Buffy, the owner, is also the sweetest and super talented. She helped me set up my initial timeline for the whole day within minutes of my consultation! I ended up using that as the basis for the timeline for all the vendors! I am quite a perfectionist, and they appreciated and celebrated all the details that I worked so hard on. Their style was just what I was looking for; they had the same taste of poses and overall look. The pictures turned out amazing; everything I could have hoped for! They also were a well-oiled machine. They were amazing at handling my bridal party and keeping everything and everyone on schedule. They made sure Eli and I had enough time to get our portraits on the beach before the sun setting. Buffy even bustled my dress before our introductions when we could not track down my maid of honor. Location! We wanted a beach venue with a ceremony space that was not directly on the beach. We also wanted a venue where the ceremony and reception could be in one place. It is also nice to have a venue with other things around for guests to do during the day or the rest of the weekend. We wanted our wedding to be a reason that our guests can turn it into a mini- vacation! An all-inclusive type package was also very important to us and not having to find separate vendors for every little thing. We chose the Hyatt Regency Clearwater Beach because they checked every box that I listed above and more! The service was INCREDIBLE! Guests are still raving about how amazing the venue was. From the initial tour of the venue, to the food tasting, to my hundreds of random email questions to the coordinator at all hours of the night, they were amazing. They made us feel so special all day and took extra attention to Eli and I the entire night. Roseli and Danielle at the Hyatt exceeded my expectations. They were so responsive throughout the whole planning process and helpful. They both kept everything on track, from the rehearsal on, and everything went so smoothly. Roseli genuinely cared and went above and beyond to make my vision come to life. The two of them, the banquet captain and all the servers provided top notch service to us and all of our guests, such as picking sand spurs from my dress after we had our pictures taken on the beach, without hesitation. We love the beach and being on the water, so we definitely wanted to have our wedding somewhere to have that setting. 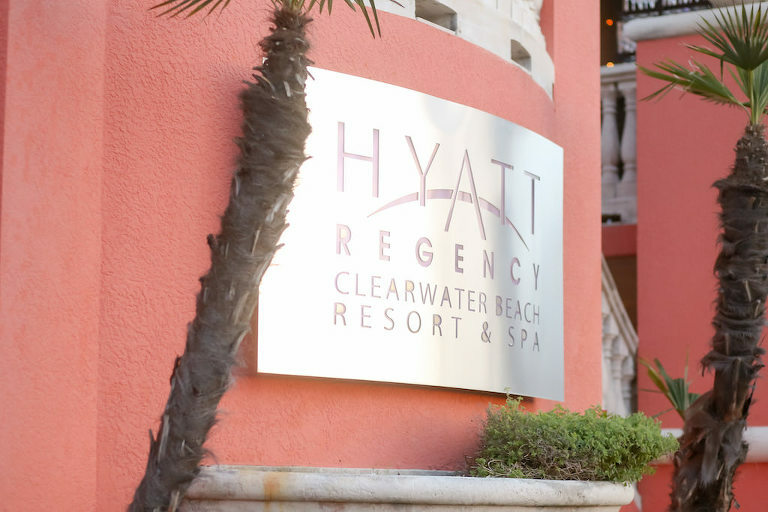 A beach wedding to us had a more laid back vibe, but choosing the Hyatt Regency Clearwater Beach still gave our event the sophistication that we love. We wanted to focus on our guests and having a good time! We also love food, so we took pride in hosting an amazing meal for our guests. Enjoy the entire day, weekend, and event planning! When it comes down to it, the little things don’t matter, and you won’t care. So don’t sweat it, just enjoy!